Friends at WWBIC sent a new photo from last week's gathering in Madison. It was fun to learn that my friend Jim Frymark was also going to join WWBIC's new Rural Advisory Council. Jim was instrumental in the creation of the Wisconsin Innovation Kitchen and brings a wealth of knowledge and insights to the new Rural Council. I am very much looking forward to working with Jim. 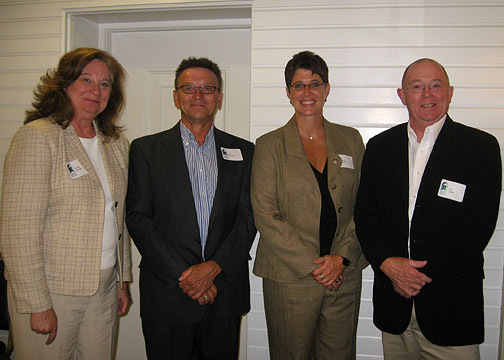 In the photo, (l to r) Barbara Eckblad, WWBIC Director of Lending. Jim Frymark, Karen Wells, WWBIC Director of Educational Programs. Rick. What i find tough is to discover a blog that may capture me for a minute but your blog is different. Bravo.